HERE’S some Brexit news that would make Kay Burley put her foot through the Autocue machine and send Jacob Rees-Mogg the bill. London still massively overshadows the rest of Europe’s cities in technology, as gauged by its ability to attract investment. Well, that news would enrage the Vague News crowd if it ever got broadcast. Which of course it won’t, because it puts our economy in a good light. Which cannot be done, for political reasons, so the optimistic intelligence must be placed on the proverbial spike for rejected storylines. To paraphrase John West: it’s the stories that Sky News reject that make Brexit the best. 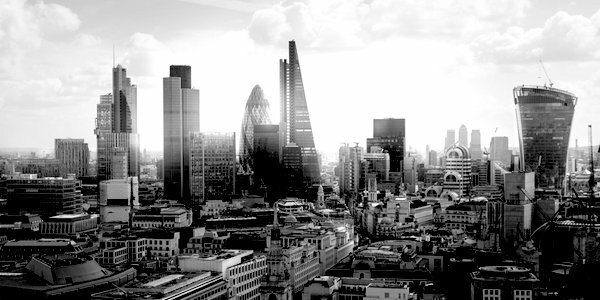 London has maintained its position as the top destination in Europe for technology investment, according to a report by London & Partners and PitchBook. Last year the capital was so far ahead of the rest of Europe that it attracted nearly double the amount of investment gained by its closest rival, Berlin. Double the amount of its nearest Euro rival! In 2018, technology companies in London attracted £1.8billion in venture capital funding, 72 per cent of the total £2.5billion raised by UK tech businesses. Many Remainiacs have devoted considerable energy to undermining credibility in London’s tech centre in an effort to fulfil their own painful prophecies. Some amateur politicians within London’s tech sector have even tried to talk down the appeal of the capital in a number of confidence-crashing hexing forecasts. Despite Hexit, investment in artificial intelligence (AI) rose 47 per cent across the UK as a whole, to £736million. Meanwhile £1.2billion went into the flourishing financial technology (FinTech) sector. Big data, blockchain and cryptocurrencies also saw all-time high investment numbers. The global interconnection and data centre company Equinix has been instrumental in developing the UK’s digital infrastructure. In November of last year, the US-based firm announced the launch of a £90million high performance data centre, LD7, at its Slough campus. This project forms part of a total new investment in the UK’s digital infrastructure of £295million – an investment that was described by Theresa May as ‘a vote of confidence in London’s future as the world’s premier financial hub’. Late last year, Equinix launched the second volume of its Global Interconnection Index. The market study tracks interconnection bandwidth – the private exchange of data between companies, away from the public internet. Its authors said that ‘despite Brexit’, London remains the most important data market in Europe. Thanks to the intellectual rigour of Imperial College, UCL and Oxbridge, London is a global contender in everything technical from artificial intelligence to atomic clocks. A key driver of London’s data growth is the close proximity of FinTech companies to the world’s top financial district, while health tech companies operate close to pharmaceutical and life-science firms. Every Equinix data centre is like a digital twin of each major industrial sector with the number-crunching machines of every all the movers and shakers in the industry being placed in the same rows in the same data halls and so closely integrated that the machines are practically telepathic. There is bit-level degree of technical harmonisation that cannot be reproduced easily – no matter how many tax breaks you squeeze out of Jean-Claude Druncker and Guy Hofmeister when they’ve had too many Cognacs.